Have you ever wanted a laser printer at home, or even a wireless laser printer, but not had the money to be able to afford one? Well things have changed radically in recent years. When I bought my first last printer in 2003 it cost me £400 (around $550) for a basic colour model. It was huge as well. Now I have a colour multi-function device that's just cost £180 which is an absolutely bargain. This printer too though is pretty huge and not something you'd be at all comfortable having in your living room. It's limited too, requiring a USB or wired network connection. What was really needed then was a smaller, better option. Fortunate then that Samsung, along with various other pieces of review kit, sent me their new ML-1865W Mono Laser last week to test. Now I was expecting a big, bulky and franky ugly printer to arrive. Imagine my surprise then when a small sleek black box arrived, measuring only 341 x 224 x 184 mm. This printer is undeniably two things, dinky and lovely. It's no bigger than a typical inkjet printer when closed up, and the high-quality piano black plastic body means it wouldn't look bad in anybody's home office or living room. I was keen then to see if a laser printer this small could actually perform. The first test was in connecting it wirelessly to my network. 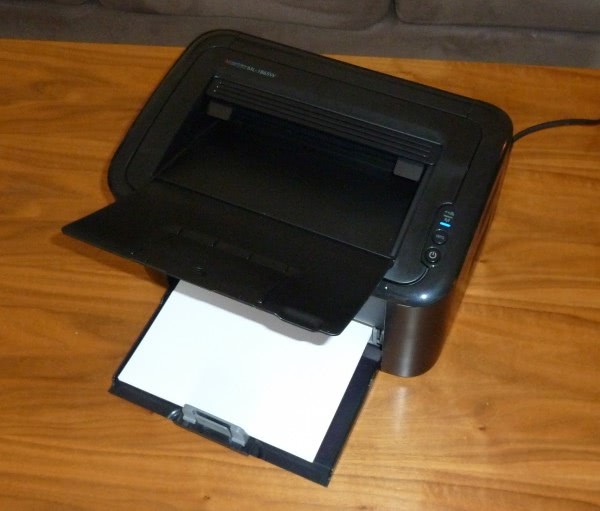 The printer can be attached directly to a computer via USB, but can also connect via WiFi to your home or small-office network. It does this though the pressing of only two buttons, one on the printer and one on your router (both called WPS). This would, theoretically, pair the devices almost instantly. Suffice to say I was slightly sceptical at this claim, but the printer connected effortlessly to my TalkTalk home router and was ready and available on the network in around ten seconds. Eager to make sure this wasn't a fluke, I took the printer to a neighbour where their BT Home Hub flatly refused to acknowledge the printer's existence. This I don't think is a fault with the printer itself, as it will be designed to work in a standards-compliant way. It would involve a probably lengthy call to your ISP's technical support however and some tinkering in your router's administration settings to get it working. This might just be too much for some people who might just give up and connect it via USB instead. The driver install is simple enough, even with the printer connected via WiFi, though this could cause some issues if you are using the printer with Windows XP. Alas I wasn't in a position to be able to test this scenario as all my computers run Windows 7 and I'm not mad enough to put XP back on them! The true test of a printer is in it's speed, noise and print quality. Samsung claim the ML-1865W has a startup time of 8.5 seconds and then, oddly, don't claim any figure for a page per minute (ppm) speed. I thought this odd and perhaps an indication that the printer would be slow. To test it I threw my Windows 7 Power Users Guide at it, a graphics-heavy PDF running to 170 pages. True to their word, within 10 seconds the first page began to appear, this first page being the cover with full graphics on it. The printer then speedily churned out the rest of the book at around 20 pages per minute, which is very impressive for a small, low cost machine. The quality was excellent as well and overall I'm very impressed, it was very quiet too, in fact probably the quietest printer I've ever used. Elsewhere there's a 150 sheet tray and a 100 sheet capacity output tray. The printer will print graphics and text at 1200 x 1200 dpi and connects to your wireless network by 802.11 b, g or n.
Overall then the ML-1865W is a lovely printer to have. It's quiet, quick and attractive with excellent print results and can be bought online for as little as $69.99 in the US and £80 in the UK (at least these were the cheapest prices I could find). 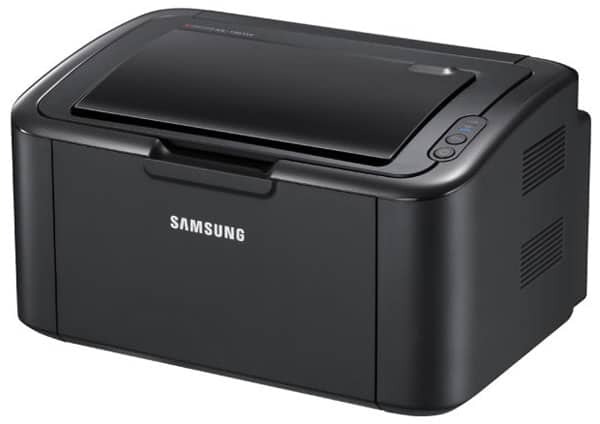 The only downfall with this printer is the lack of support with some routers, and it might be a good idea to check with Samsung if your particular router is supported and, if not, with your ISP how easy it is to get it set up in the router's administration interface. This aside though if you're after a monochrome laser for a home or home office, it's a great unit to get and a bargain at just $70. 8/10. how much does it cost to print per page? i priced these things a few months ago and found that the $400-500 laser printers use toners that significantly lower printing costs. i’m guessing the toners for this are not high yield compared to others, but you’re saving so much up front that over a few years you might break even. The particular model mentioned has rave reviews all over the Internet in recent days for those who would like a mono laser. I would purchase one today; however, I rarely print anymore. For some reason, everyone with whom I interact prefers files, electronic submissions. Personally, I need a scanner/copier, so I stick with an AIO despite the quality loss. Interesting article and comments already. I too would be wanting to check the volume and cost of the toner carts as this is something I’ve found out to my cost with early-model HP low volume lasers. That aside, my first reaction was to question why you would want a mono printer as your home printer. However, on reflection, it’s actually not such a bad idea – most home colour inkjets are not actually all that great at printing photos, which is what I mostly need to print colour for and could easily be persuaded to use by local Jessops or other print shop for photos and most everything else cold easily be printed in mono. I bought one of these in January, it worked for a couple of days and then started jamming. They replaced it. Same thing. Now on the third one…working so far, fingers crossed. 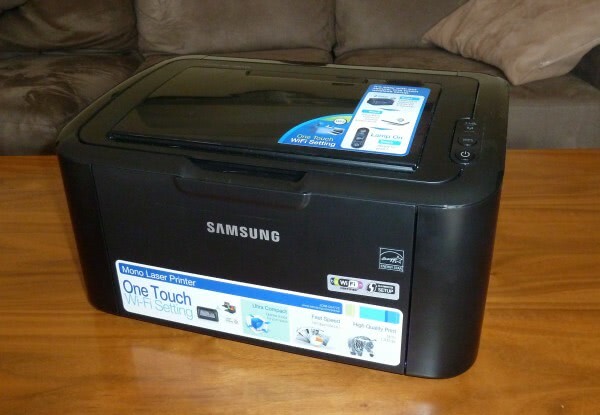 would i be able to connect to my samsung galaxy s2 smartphone with this and if not is there any printer that i could connect to my phone wirelessly??? I’ve spent the last several hours trying to direct connect with my OG Droid with no success. Need to know cost of operation. How often does the toner need to be changed or how many pages does it print per cartridge. Does it have a drum that needs to be change if so how many pages does that get. Only the recent routers have a WPS button. Mine does not have a WPS button. There is no way I can connect it trough Wifi. No instructions are provided to do so. The manual has the instructions on how to connect with non-WPS routers with help of the also included SW CD. I run DD-WRT in my home router and had it done in less than 10 minutes. You need to connect a PC to the printer through an USB cable that is included in the package. I use the printer with Windows 7 and Ubuntu 11.10 machines and it performs flawlessly.